It is imprinted at the "birth" of the wheel, when the curd solidifies in the mold. This is the mark which certifies the origin of the wheel, including the initials of the province of production and the dairy’s registration number. 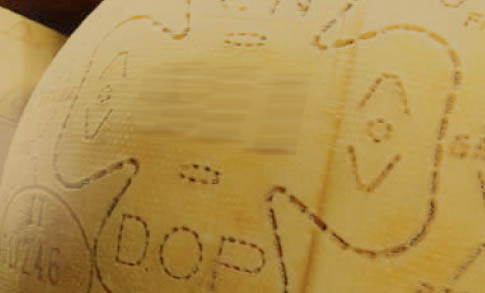 It also includes the letters DOP, (PDO – Protected Designation of Origin) the mark which shows that the cheese is produced in the area of origin identified by the law, in accordance with the Product Specifications.